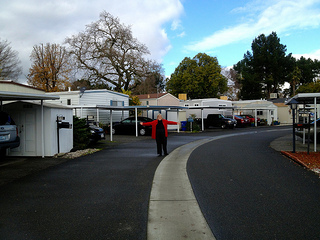 In Rutherford Holdings, LLC v. Plaza Del Rey, Rutherford contracted to buy a mobile home park from Plaza, and provided a deposit of $3 million dollars. The agreement provided that the deposit was nonrefundable unless Plaza materially breached the purchase agreement or failed or refused to close. Prior to the closing date, Plaza told the buyer that Plaza could reduce its property tax bill for the year if it was not in this contract for sale. The contract would increase the value that the tax was based on. If they did not close by the closing date, the tax would be based on a lesser value. Plaza promised the buyer that they would sell the property after the closing date, and after Plaza filed it tax returns. The buyer agreed! The closing date came and went and neither party performed; Plaza never tendered the deed to Rutherford, and Rutherford never tendered the full purchase price to Plaza. Plaza paid less in taxes, then said they would not sell the property to Rutherford, plus they were keeping the deposit, ha ha! This suit followed. The court first noted that in a contract for the sale of real estate the delivery of the deed and the payment of the purchase price are dependent and concurrent conditions. Where the parties’ contractual obligations constitute concurrent conditions, neither party is in default until one party performs or tenders performance. However, here, the buyer argued that the seller’s obligation to return the deposit was independent of the Buyer’s promise to pay the full purchase price. If the two covenants are independent, breach of one does not excuse performance of the other. 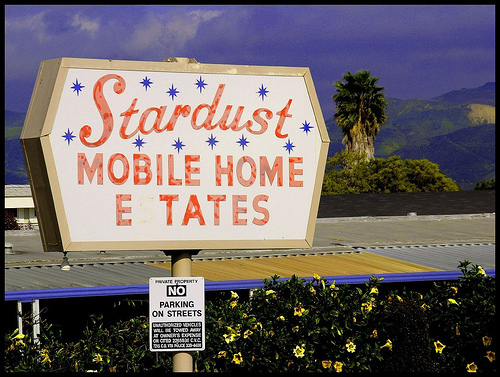 The buyer’s failure to place the money in escrow did not excuse Plaza’s failure to return the deposit. In this case the Court was looking at whether the Complaint sufficiently described a legitimate claim. Where an ambiguous contract is the basis of an action, the parties are expected to provide their own interpretation of its meaning. If their interpretation is not clearly incorrect, the court accepts as correct plaintiff’s allegations as to the meaning of the agreement. Here, the purchase agreement can be reasonably interpreted to mean what the Buyer has claimed. “While [that] interpretation … ultimately may prove invalid,” at the pleading stage, it is sufficient that the agreement is reasonably susceptible of this meaning.” Thus, the Buyer had properly made the claim that return of the deposit was an independent condition, and should have been returned. It’s too bad this buyer had to go through the appeal process at this stage of the lawsuit. The seller seems to be a real con artist, convincing the buyer to let the contract lapse with a promise to sell on the same terms, then keeping the $3 million dollar deposit.